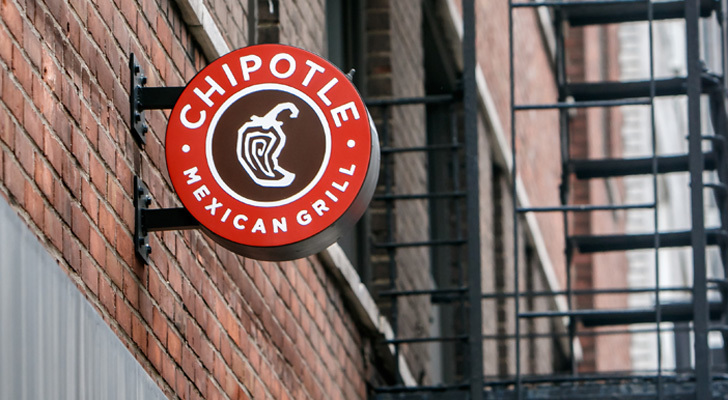 Order a small bite of Chipotle stock and be ready to buy more on any looming "daily price specials"
It has been a sizzling 2018 for Chipotle (NYSE:CMG) solidified by a recent earnings fiesta in shares. But for investors interested in ordering Chipotle stock in today’s market environment, the recommendation is for a lite bite and to stay ready for a daily special to be offered. Let me explain. Sometimes you just have to listen to the price charts and shut out the noise of bearish talking heads within the canyons of Wall Street. Such remains the case in CMG stock following last week’s mixed results. In a nutshell Chipotle stock delivered better-than-forecast Q3 profits of $2.16, which topped views by 16 cents and jumped 48% year-over-year. Sales grew by 9%, but narrowly missed estimates of $1.2 billion due to a lingering food-safety scare during the period. Yet the CMG stock price remains far from contaminated in 2018 and this truth is further supported by the price action since the report’s release. The healthy buying interest from investors comes despite Chipotle still being largely pooh-poohed from the likes of Bank of America, others questioning an unsustainable pattern of flat foot traffic and a Wall Street analyst community that remains defiantly neutral. So, who are you going to believe? Since Chipotle reported late last week, investor demand has led to outsized gains of 11% and continued market leadership for CMG stock. The price action has also solidified CMG’s year-to-date gain of nearly 65% and its bullish uptrend after it found technical support off the 200-day simple moving average and a healthy two month correction of around 23%. Overall, CMG looks great, but I wouldn’t rate Chipotle stock a strong buy right now. My view at the moment is that a short-term overbought situation in shares coupled with a questionable broader market that has aggressively bounced off its lows points to some price indigestion ahead. In lieu of today’s operating conditions, I’d recommend a strategy of a small or “appetizer-size” bite in CMG stock today. At the end of the day, you have to be in it, to win it and can’t just hope Chipotle shares will move lower and to our ideal buy price. That being said, with a smaller-than-normal position, investors that are bullish should be ready to buy into any likely “daily specials” at lower prices. 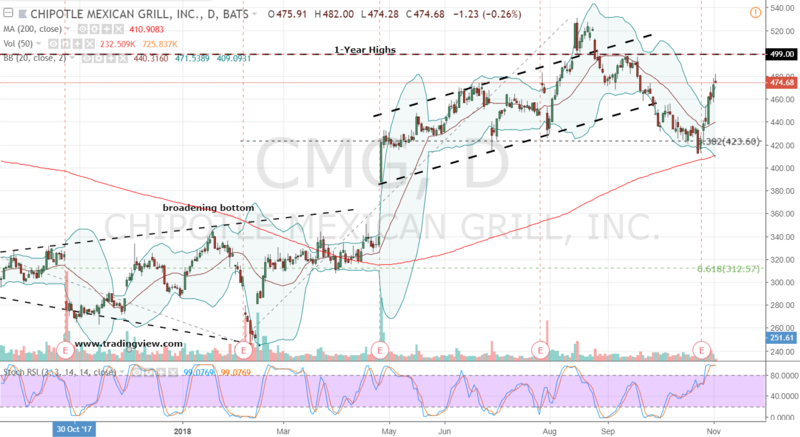 That kind of price action, if it occurs, will have the effect of reducing some of the sizzle that has left grill marks on Chipotle bears, while making CMG stock look even more technically delicious. Article printed from InvestorPlace Media, https://investorplace.com/2018/11/this-is-the-right-way-for-chipotle-stock-bulls-to-buy-in/.